I'm finally back! This is my first new piece of 2016. After a long break and some custom work, I am back to what I love to do best. This break was very good for me in terms of my work. Stepping away and doing a lot of things that have nothing to do with painting ( at least on the outside) has hopefully helped me become a better painter . I am beyond excited about all the subject matter I am going to be sharing over the next few months. 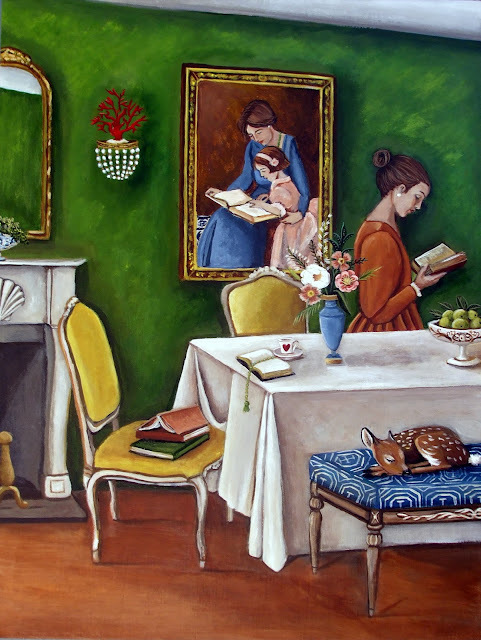 The Reader is 12x16 painted on a cradled wood panel with painted sides. www.catherinenolin.org and my etsy shop. and pretend that he just doesn’t see?"